Long Beach, CA – Laserfiche—the leading global provider of enterprise content management (ECM) software—announced today that the Laserfiche VAR Program received a 5-Star rating in CRN’s 2018 Partner Program Guide. 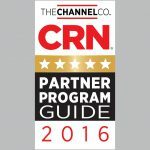 CRN®, a brand of The Channel Company, created the 5-Star Partner Program Guide rating to recognize an elite subset of companies that offer solution providers the best partnering elements in their channel programs. 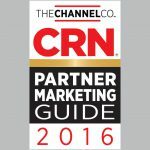 To determine the 2018 5-Star ratings, The Channel Company’s research team assessed each vendor’s partner program based on investments in program offerings, partner profitability, partner training, education and support, marketing programs and resources, sales support and communication. The Laserfiche VAR Program reached new levels of success in the past year, with VARs capturing larger shares of key industries including government, education and financial services, as well as expanding into new markets. Laserfiche’s robust education program and support resources have enabled VARs to sell more ECM systems that go beyond document management, surpassing departmental use and involving the entire enterprise. 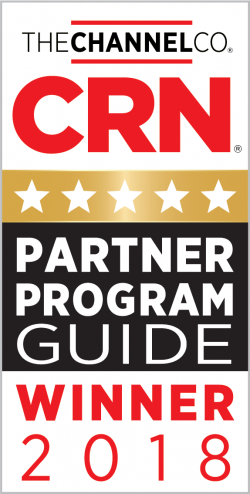 The 2018 Partner Program Guide will be featured in the April issue of CRN and online at crn.com/ppg. To learn more about the Laserfiche VAR Program, visit laserfiche.com/var. Laserfiche is a leading global provider of enterprise content management software empowering organizations to take control of information and business processes. With intuitive on-premises and cloud solutions for document management and process automation, Laserfiche improves productivity, efficiency and strategic decision-making for organizations looking to transform into a digital workplace. For more than three decades, Laserfiche has fostered an active user community that shares ideas and inspires solutions. To learn more, visit laserfiche.com/about-laserfiche.